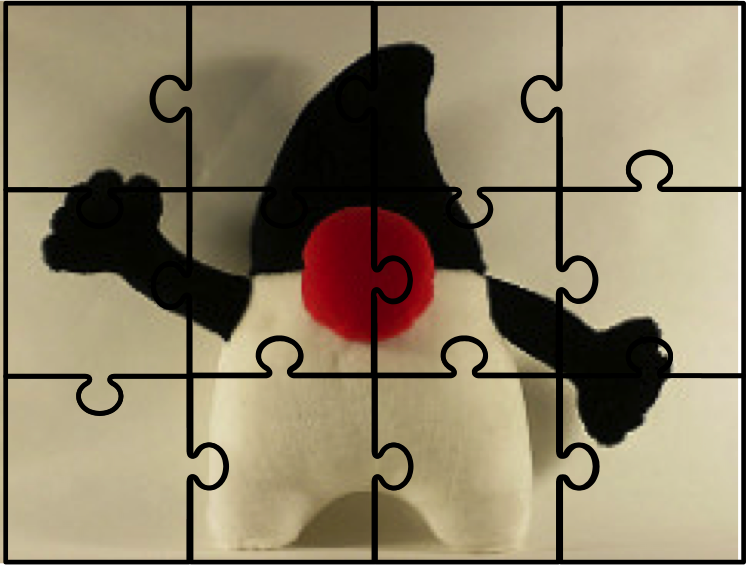 I wanted to have an image of Duke (the Java mascot) as a jigsaw puzzle image for a presentation. First I googled and couldn’t find an existing one. 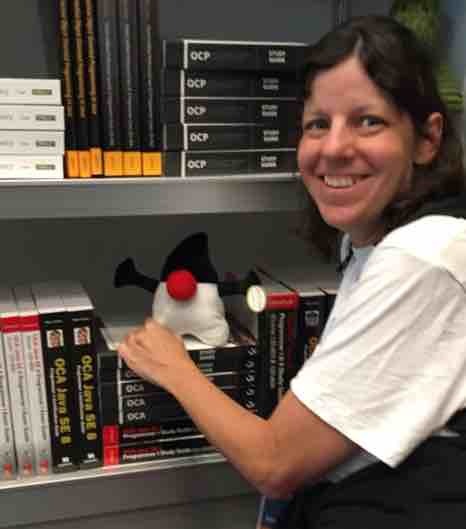 I found one on a blog, but it doesn’t look good from the distance. Also, it isn’t labeled for reuse. So rather than work on content for my presentation, I decided to learn how to make a jigsaw puzzle image. It wasn’t hard. I decided to use this image of Duke as a stuffed animal that I found online. I was thinking about using a picture of me and Duke but the lighting was too dark to come out well on a slide. I found this template online. Open the template in PowerPoint. Import/paste the image on the slide you want to use. for me, this was slide 5 – the blank template for a photo. Resize the photo/image to be the same size as the puzzle and overlay it. Now you have a single image that you can use in your own deck.